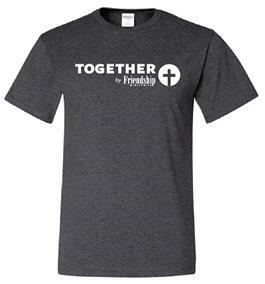 Share your passion for Friendship Ministries with these new TOGETHER shirts! Share your passion for Friendship Ministries with these new TOGETHER shirts! By highlighting the most important part of Friendship—our loving, God-centeredcommunity—the TOGETHER shirt will unify your group and create aconversation point for new friends.